So, here we are. The night (eventually) before Epiphany: Twelfth Night. Tomorrow, the 6th January, will be Sherlock Holmes’ 159th birthday; we hope he has fun celebrating, and that no one overdoes it on the brandy. Because I belong to a religious group that doesn’t observe Twelfth Night or Epiphany, I had to look everything up, to make sure I had the days right. This constant opportunity to learn more is, I think, one of the most enjoyable aspects of being a Sherlockian. It really doesn’t matter what your area of interest is–Holmes has it covered. Some are easy: science, literature, history, crime. But you also have sports–how does one fight with a single stick? What is bar(t)itsu? Art–either researching the pieces mentioned in the stories, or creating some of your own. Music–Watson mentions scores* of operas, pieces, and performers to either listen to, or emulate. Even cookery–how does one make curried chicken, and is it wise to leave a fowl on the sideboard for very long at all? With just a bit of curiosity and imagination, one can find enough in the sixty works Watson gives us to occupy herself for years–perhaps even a lifetime. And if you’re like me, and wonder about that tin dispatch box, well then…. That’s why I’m really excited about today’s Giveaway prize. 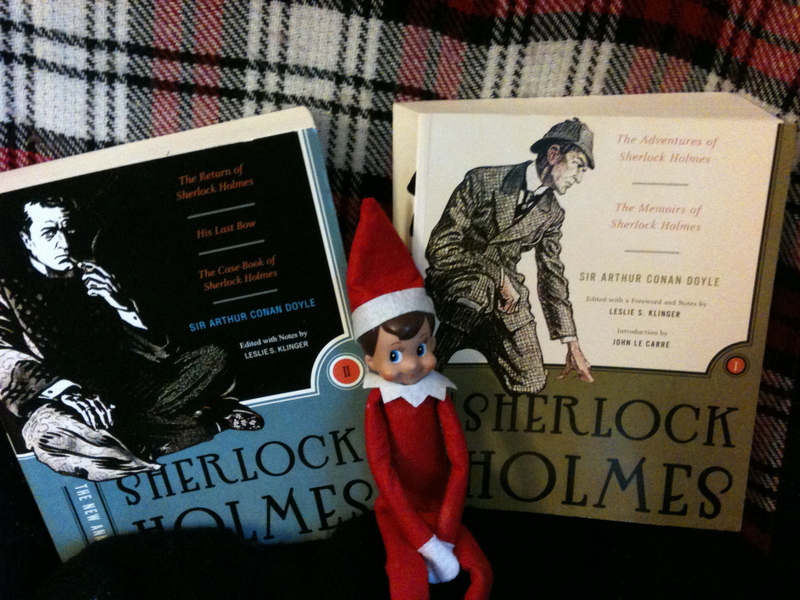 You don’t have to start your Sherlockian studies from scratch. Generations have been there before you, and there’s a lot of information to be had. One of the most largest, and most recent, caches is the Klinger annotated version of the canon. ** It’s a giveaway fantasy prize. Too bad I can’t…. Now, granted, it’s not perfect. There are only the two volumes covering the stories, and not the one for the novels. They’re paperback, not hardback, and there is no slipcover. There’s a bit of shelf-wear. But, as far as I can tell (and according to the seller) they’ve not been read (or read much), and I did not find any marks in them, so get your highlighter ready…. How do we know (or “know”) Holmes’ birthday is January 6th, 1854? Again, you can answer via the blog comments, FaceBook, or Twitter. Good luck, and happy Twelfth Night! Congratulations to Stefanie Paeg, who knew that Sherlock could tell John and Mrs. Hudson had been searching the flat for drugs because they’d disturbed his sock index! Because Christopher Morley, founder of the BSI, determined that “Twelfth Night” was the most often quoted (by Holmes) Shakespearean play. Therefore, the play must have been Holmes’s favorite. Why? Because he was born on the Twelfth Night of Chrismas. Holmes, in disguise as Altamont, is said to be sixty (not only appearing to be sixty). “His Last Bow” takes place indisputably in 1914, ergo Holmes was born sixty years ago in 1854. Out of all the Shakespeare plays Holmes quotes, “Twelfth Night” is the only one he quotes from twice. Perhaps it has a special meaning for him: twelfth night or Epiphany maybe his birthday. 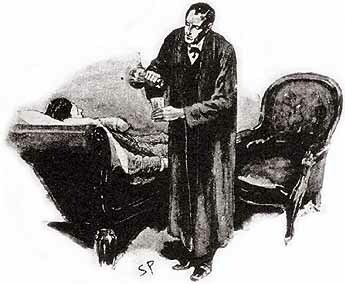 Add to the fact that on the January 7 opening of “The Valley of Fear” some commentators find Holmes seems a bit worse for wear–perhaps celebrating the night before–you have January 6 for a birthday. Whether it’s right or not, Sherlockians need a date to host the BSI weekend around and January 6 is as good as any. As I mentioned in my reply to lavardera, I already have the Kilnger New Annotated. Leave my name out of the basket so some other luck person can enjoy the fruits of 80 years of scholarship. Thank you very much for the contests! They were fun and a challenge. Christopher Morley cited “Twelfth Night” as the only Shakespeare play from which Holmes quoted twice. Also, William Baring-Gould cited VALL as beginning on January 7th, attributing Holmes’s crankiness to a hangover, and the hangover to having celebrated his birthday the day before! As for the year 1854, Holmes’s age in LAST is stated as being 60, in 1914. (1) “Twelfth Night” is the Shakespeare play that Holmes quotes the most often throughout the Canon (not sure if this is actually true). (2) “The Valley of Fear” opens on January 7, and Holmes is in a particular cranky mood. Why is he cranky? ‘Cause he’s hungover. Why is he hungover? ‘Cause his birthday was the previous day. On the off-chance that I win, you can pick someone else as I already own the Klinger set. Thank you for hosting this contest! You are spectacular.